If you hold a commercial driver’s license (CDL) then your ability to earn a living is tied to your ability to drive. Traffic violations, speeding tickets, or other infractions can jeopardize your livelihood as Illinois is strict about who can hold a CDL. If you operate a commercial vehicle then it is crucial that you take any citations very seriously. As a Peoria criminal defense attorney, I assist commercial drivers who have been cited for traffic infractions. If you need to speak with a lawyer then contact my office today. 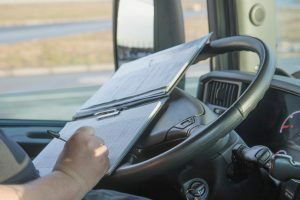 CDL holders should immediately contact an attorney after having been cited for any traffic offense. If a driver makes the mistake of simply paying the fine after receiving a citation then they will be considered as having committed the infraction; a lawyer can assist with obtaining a better resolution. I am a Peoria criminal defense lawyer who assists CDL holders with pending traffic violations. I will work to achieve the best resolution possible on your behalf. As a former prosecutor with over twenty years of legal experience, I am familiar with our local legal system. I will work to reach a resolution which reduces the impact a traffic infraction has on your career and will be in regular contact with you while I negotiate with prosecutors. Depending on the circumstances it may be appropriate to take your case to trial and fight the charge. Do not risk your career to a lesser experienced attorney. Contact my office today. If you are a CDL holder then you are worried about traffic infractions. Being able to reach your attorney should not be another cause for concern. I will quickly return your phone calls, will promptly respond to your emails, and will make myself available to answer any questions you may have. My firm prides itself on providing a high level of service and this is my approach in each and every case I handle.